Shapey Lens for Lunt LS60PT and DMK41 - SolarChat! 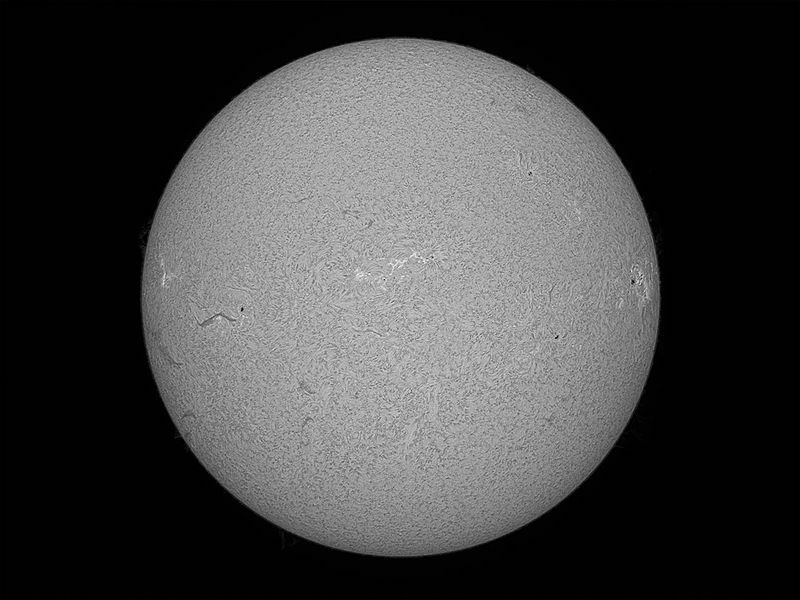 The DMK41 camera and the Lunt LS60PT are a popular combination to image the H-Alpha sun. 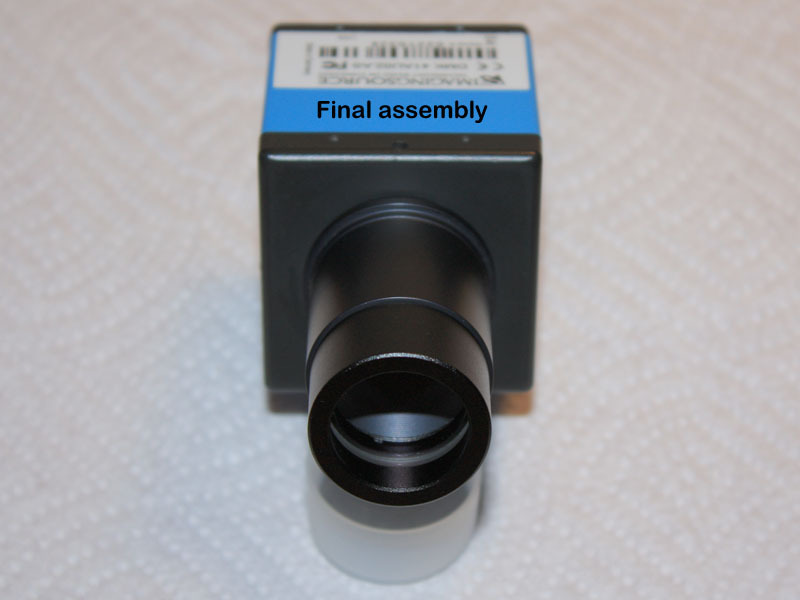 The focal length of the Lunt LS60PT is specified at 500mm (measured 506mm) and that yields an image scale just a little bit too large for the full chip of the DMK41. There is always a little piece of the Sun cut off at the top or bottom. The usual solution is to make 2 images and combine them into a composite in image processing software. 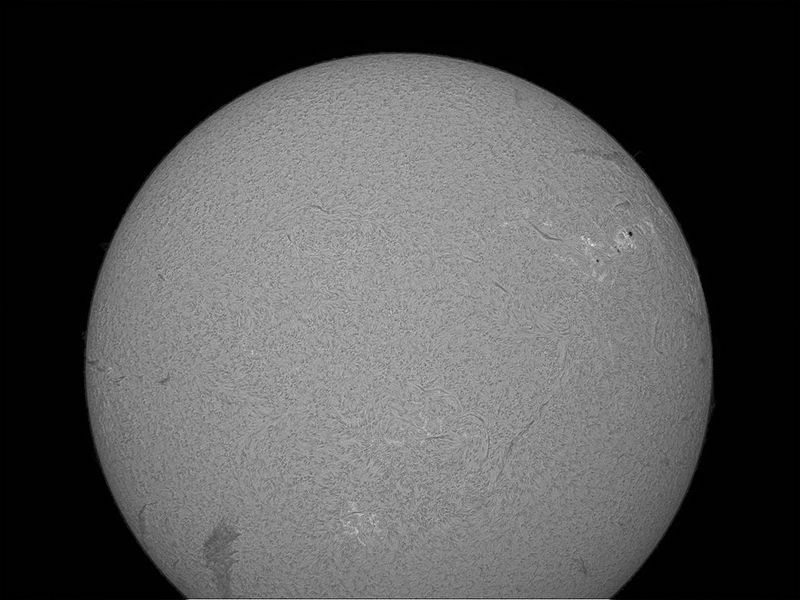 But using a weak Shapley lens is another alternative that scales the solar image to just fit the camera's chip size. A mild positive achromat positioned just in front of the camera will do the job. Calculations in OSLO raytracing software show that 300mm fl is just fine. 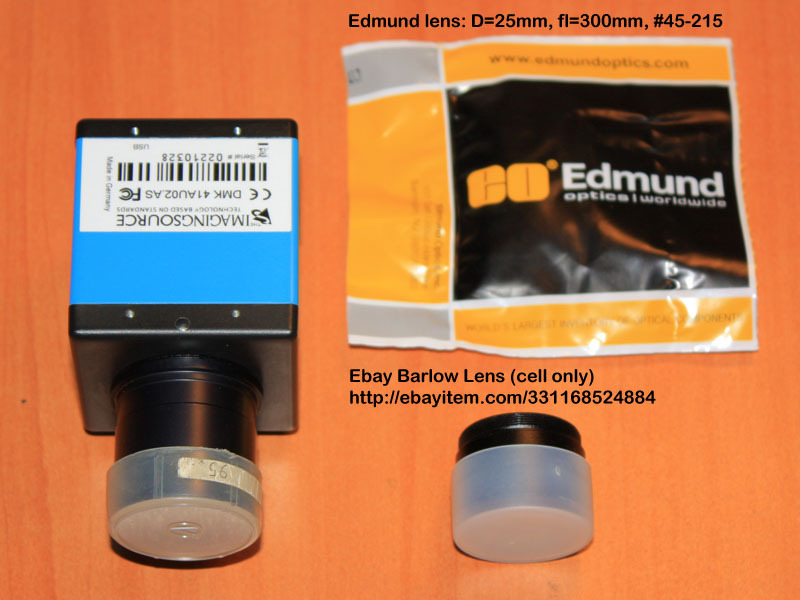 Edmund optics makes just such a lens as catalog #45-215. Now we need a lens cell. 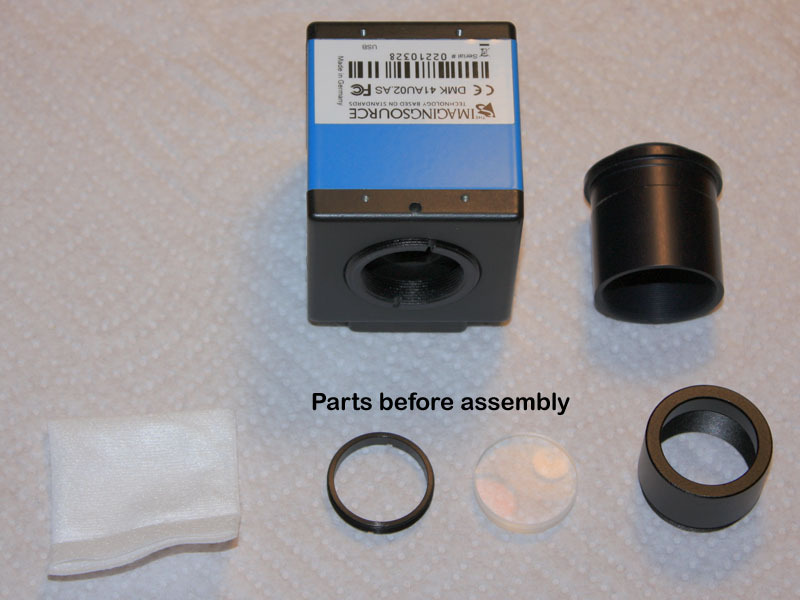 A simple Barlow lens at Ebay is a welcome donor of a machined cell of just the right size. That is an excellent solution! great stuff!